What happens when a horse gets old? Do their guardians continue to provide good care and allow them to live out their lives in a beautiful green pasture and run free? More often than not, this is the case - however, there are horses who are not given the dignified retirement they deserve. 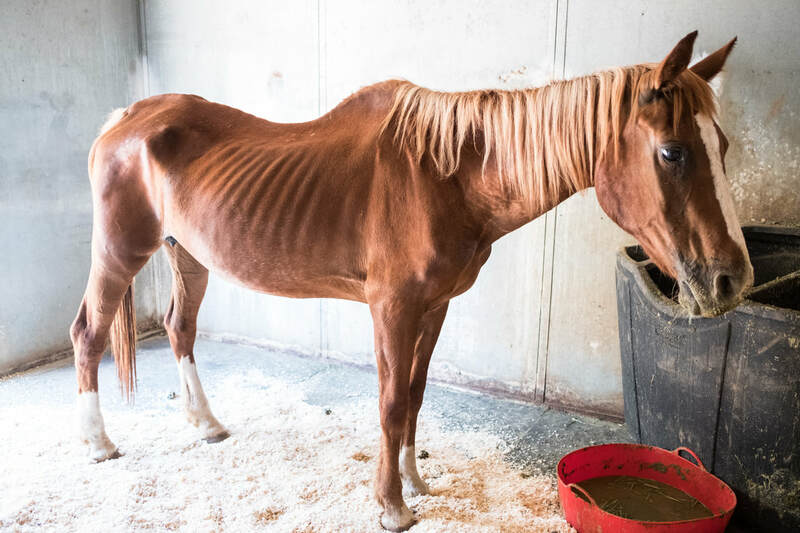 It's not uncommon to find senior horses abandoned, neglected or worse, as was the case of Sparkie, a former rodeo barrel racer and cow horse. Sparkie, a 20+ mare, had given her entire life to her owner. Then she was thrown out as if her lifetime of service wasn't worthy. The pasture had dried and gone, and there was nothing more for her to eat. She wasn't fed, she wasn't supplemented, she was just there. AAE was called out to help Sparkie the beginning of July, in the heat of summer. Thankfully, she wasn't the worst we've seen, but nonetheless, she was neglected, emaciated and hanging on. Sparkie was waiting to be rescued. Thanks to caring neighbors, they encouraged her owner to relinquish her to their care. They moved her to their side of the fence and took the first step to assure Sparkie was well on her way to the golden years she so deserved. 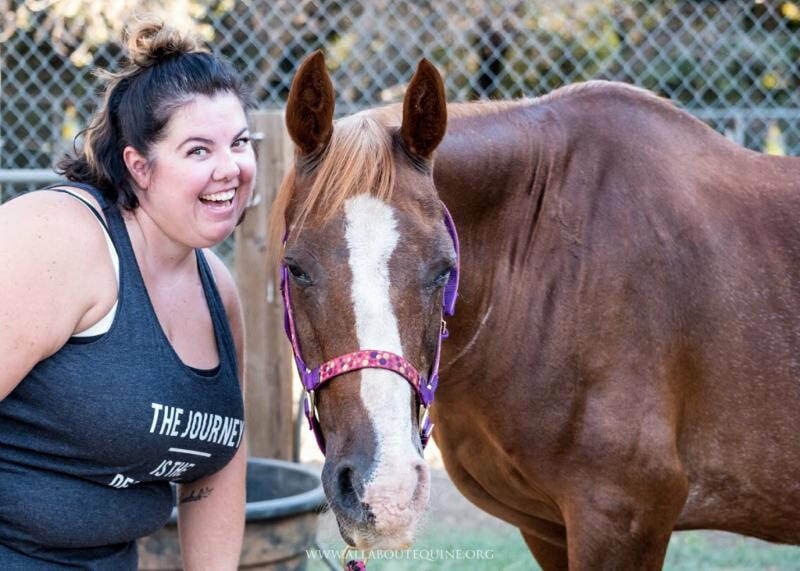 However, after a couple weeks, they realized she wasn't making much progress, and they didn't know enough about horses to assure they were really helping her, so they reached out to AAE. When we arrived, the neighbors came out to greet us. They had been feeding her a can of grain and grass cuttings. Grain isn't the best choice for refeeding an emaciated horse, as it can effect the metabolic process. Grass cuttings shouldn't be fed to horses because they ferment which can cause colic and laminitis, mold can grow rapidly, and botulism can develop in the anaerobic environment. All can produce deadly results. They also patched together a temporary paddock and shelter to ensure that she had a way to get out of the sun. Leading her from her temporary paddock, Sparkie quickly hopped into the trailer as if knowing her future was in a new direction. Back at AAE, due to Sparkie's condition, she was promptly put on a gradual refeeding program consistent with the U.C. Davis Recommendations for Refeeding A Starved Horse to assure she had the best opportunity for recovery. Her condition was complicated by a very neglected mouth, so we used alfalfa meal (with no molasses) instead of alfalfa hay. Blood results from vet exam showed she was anemic, but other results were within normal range. As soon as her condition stabilized, her teeth were floated. Her teeth looked like she had never had any dental care. Several teeth were removed, so continuing with alfalfa meal would be the plan. While Sparkie recovered from her former life, all of our volunteers doted on and loved on this gentle mare - who we assured would only know love and compassion for the rest of her days. Sparkie had one special volunteer who showered her with love again and again and again. By the end of August, less than two months from arrival, Sparkie had made tremendous progress, and she was ready to move on to a forever home. That day is always bittersweet. We all grow to love every horse that comes to AAE, but each one needs to move on to their forever homes so the cycle can continue. Each time one leaves, it opens a space for another horse in need. After only a monthy, Sparkie had made tremendous progress. By the end of August, only two months after intake, Sparky was well on her way. Sparkie was ready to move on to her forever home. 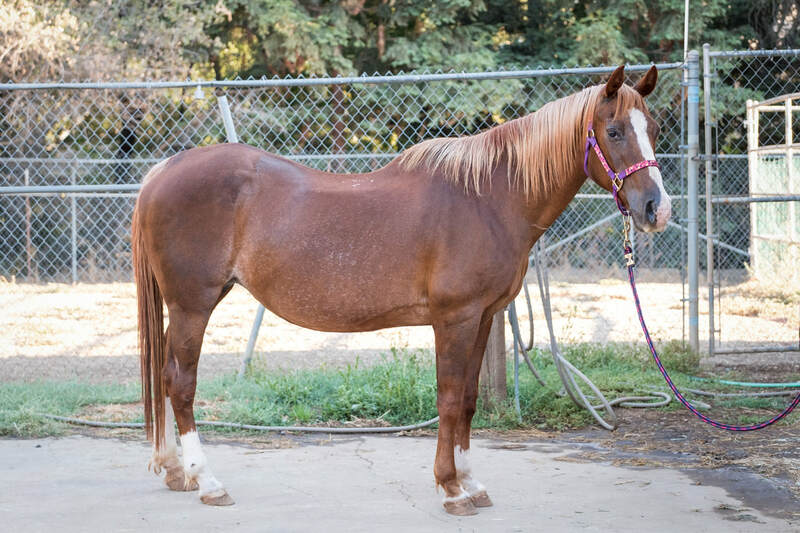 Only a month later, on October 1st, this sweet girl was adopted by a lovely couple looking for a sweet senior horse to be a companion to their aging mare that had recently lost her older friend. Sparkie now has an old buddy and two very loving owners who spoil her and remind her daily that not all humans allow their animals to get to such an extreme neglected state. AAE receives frequent calls for help with older horses. Callers often suggest they can no longer afford a horse they can't ride. It seems some people fail to consider that horses age like humans. Many of these horses serve their owners throughout life. They get arthritis, their bodies tire, their strength weakens, illness and/or injury renders them unrideable. This doesn't mean they don't deserve to be properly cared for 'til the end. When we choose to take on an animal - it's our responsibility to love and care for them forever. Horses need care their entire lives, not only while they serve our needs. We are not disposable when we get old, neither are our senior horses. Please think ahead and plan for your horse's retirement.